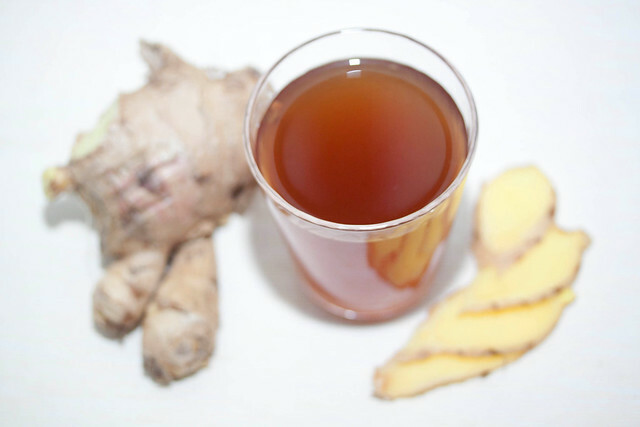 Feel free to try this drink ginger will help to pass the autumn days without catching usual flu and colds. Peel the ginger and cut into thin slices. Put the ginger in a pot of boiling water. Boil this aromatic root at least 15-20 minutes on low heat. Then put the pan off the heat and let stand for 5 minutes. Strain the liquid and then sweeten with honey and add lemon if you like.